Many American Indian tribes across the nation hold powwows that are basically megaconcerts, with tickets sold to the nontribal general public. Visitors often come away from these events thinking that they’ve gotten an authentic glimpse into Indian traditions and spirituality, a perception fueled by some tribes’ marketing. “It is truly an honor to attend a powwow,” states the web page of the Northern Colorado Intertribal Pow-wow Association Inc.—an honor, incidentally, that’s available to anyone with ticket money. Powwow itself is new. It did not exist seventy years ago. It is a pan-Indian combination of Omaha grass dance ceremonies, Dakota war dances, Ojibwe dreams about the jingle dress, and rodeo customs, where dancers who used to parade into army forts in tribal war regalia now parade into the powwow arena in dance regalia for grand entry. There are many types of powwows. But [many powwows] involve singers and dancers competing for money. Participants’ abilities to sing and dance are highly valued, supplanting older cultural ideals of community cohesion, inclusiveness, and respectful generosity. 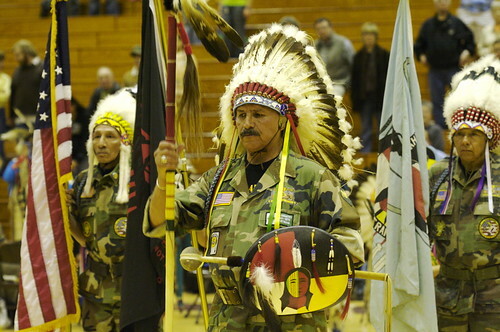 The modern powwow is a welcome, healthy gathering of people from many communities. It is a joyous social event and source of community pride. But it is not a substitute for traditional Ojibwe religion or ways of life. The powwow budget for Leech Lake completely eclipses tribal expenditures on traditional culture and Ojibwe language revitalization. Tribes and tribal people are agents of their own cultural change. So remember that if you attend a large commercial powwow, you are more likely watching a sort of American Indian Idol than a sacred and ancient ceremony. It may be fun, and entertaining, and spectacular, but it’s probably no more traditional than the fry bread they’re selling at the food stands. Because Minnesota has been at the epicenter of many Indian sovereignty, treaty rights, and social justice issues, Treuer’s book is essential reading for anyone interested in Indian history. From the fur trade and Ojibwe-Dakota relations right up through ugly public skirmishes over spearfishing and casinos, Ojibwe in Minnesota is a clear, candid, and authoritative overview of a people whose epic history is still unfolding. Image by Nic's events, licensed under Creative Commons. I grew up in Nez Perce country. I lived in Joseph Oregon and I worked the rodeos and carnivals that came through town (and in Pendleton) when I was 9 on up. The Nez Perce tribe had their villages set up but I considered them tourist traps and felt sorry for the situation that reduced the Indian Nations to what I thought was a side show to the cowboys. Here in Seattle, where I live, the tribes have been becoming more and more themselves, honoring their heritage. Whale hunts are controversial, but are legally theirs to do. A many-nation canoe journey is taking place right now (July-August) from around the central Washington coast, up and around into the Puget Sound and down to Seattle. Excellent Indian energies are emerging here. And yet I have not been. I am a crowd shunner and avoid all large gatherings. But you bring up a good point. I may just get off my behind and go. Thanks. All culture is in flux, always. It may move slowly, as in ancient Egypt, or it may move quickly as in the modern United Sates. The important thing is to consider what values we wish to maintain and grow and which values we wish to diminish or abandon. Dancing regalia is worse than war regalia? That is a conversation that the tribes must have. I don't know, I am not American Indian, and I like both. Change is not bad, it is an opportunity to grow a healthier civilization. Once a clear vision emerges and their elders articulate it to the young, cohesion will return. And when that happens, the American Indian's natural sense of nature and spirituality will uplift all of America's values. Good luck and good speed.